This website is dedicated to putting Conwy Town on the map. You may now be pulling a map out and saying to yourself but Conwy Town is already on the map I can see it just there at the top of the Conwy River in the County of Conwy and it is the home of Conwy Castle; and this is exactly the problem. 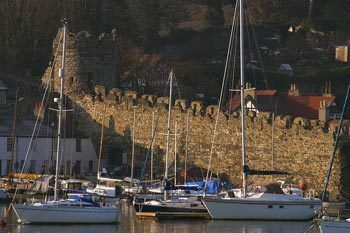 Because so many things have used Conwy in the name it is easy to overlook the fact that the most impressive thing called Conwy is the town itself. Should this matter? It does if you are a business located in Conwy Town, especially if you are a tourism related business and want potential customers to find you on the internet. Searches for Conwy will often find one of our neighbouring tourist destinations such as Llandudno, Betws-y-Coed or Colwyn Bay simply because they have Conwy in their postal address and so potential visitors to Conwy Town may be unwittingly diverted to one of these towns instead. This would be a shame because Conwy Town has so much to offer the visitor. 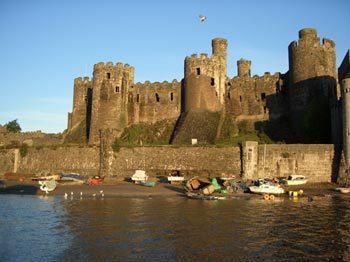 Wales is a country with a long and interesting history but there can be few places that can lay a claim to such a fascinating history as Conwy Town and even fewer can have preserved this history to such effect. A stroll down any of the streets and alleyways is like a tour through time. Even before arriving in the town the visitor will be thrilled to see the rising turrets of the mighty Conwy Castle for unlike some other historic buildings in other places Conwy Castle does not hide itself behind modern buildings but stands proud and dominant with a commanding presence that has been felt since King Edward had the town built in 1283 and the castle completed in 1287. 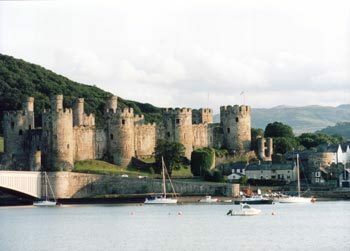 The medieval walls of Conwy Town are considered the finest in Britain. Not only are they completely intact but largely unspoiled by later building and still seem as though they are protecting the townspeople. 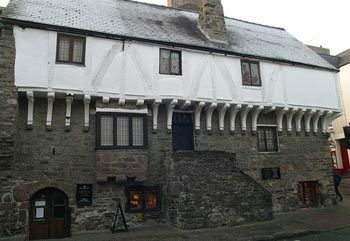 If this World Heritage Site is not enough how about Aberconwy House which is believed to be the oldest town house in Wales dating from the 14th-century it has been carefully restored to reflect the daily life of its residents over time. In a town blessed with such a richness of historic houses, Plas Mawr a reigns supreme being best surviving town house of the Elizabethan period to be found anywhere in Britain. Whilst we are on the subject of buildings it would be remiss not to mention that on the old quayside you will find the smallest house in the UK. 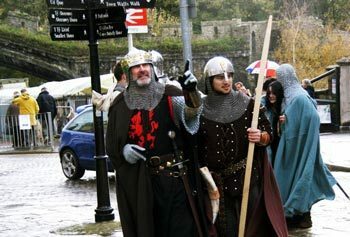 Although tradition is very important to the businesses of Conwy Town such as the traditional warm welcome and a determination to offer the highest standards there is nothing historic about the service you will receive unless you use Michael Winners epithet for excellent food which will be truly historic. There are a fine range of hotels, bed and breakfast B&Bs, guest house, self catering accommodation to suit all needs and budgets within and close to the town. Details of this accommodation can be found in the accommodation section. 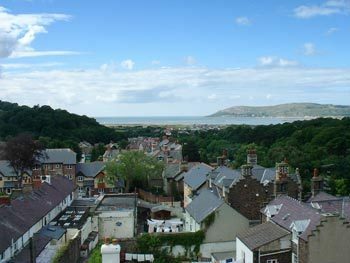 This site offers selected information on what to see and do in Conwy Town as well as accommodation, Hotels,Guesthouses, Country Houses, bed and breakfast, b&b, Inns and Cottages that have all been inspected each year by the Wales Tourist Board and have been awarded with a quality star grading. Join our mailing list in order to receive our free newsletter about North Wales events, activities, attractions and special deals. Welcome Conwy Town North Wales.